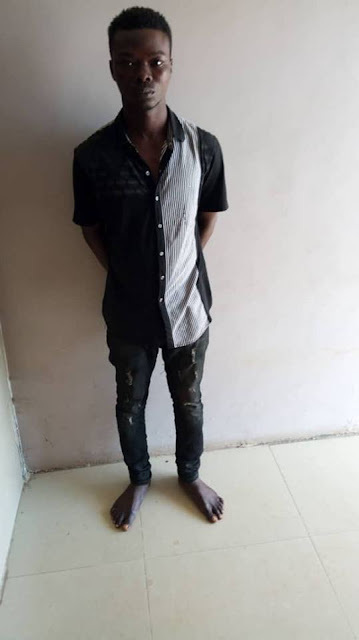 Taiwo Gbolahan aka Scammer, a notorious armed robber on the wanted list of the police, suspected to be a member of the gang that attacked and killed a police sergeant earlier in the year at Akala-Mushin, a suburb of Lagos, during an operation to rid the area of drug Lords and armed bandits, was yesterday, September 18, 2018, arrested at Akala by the operatives of the command, led by Area Commander in charge of Area D Command, Mushin, ACP Akinbayo Olasoji. Investigation into the source of the handset revealed the owner as Memunat Opeyemi Zerbo, female, of Orile Iganmu. She was invited to the police station where she identified Taiwo as part of a three man gang of armed robbers that robbed her valuables, same day, 18/09/2018, at about 0517hrs. 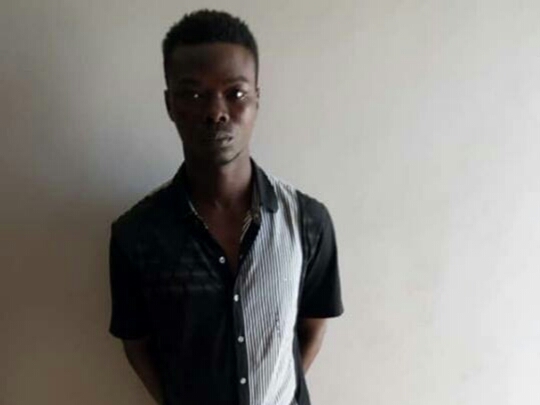 She narrated how the gang, armed with guns, cutlass and dagger, robbed her of her handset and SIM card which they configured and without her authorisation, transfered the sum of one hundred and seventy thousand Naira (N170, 000. 00) from her account.